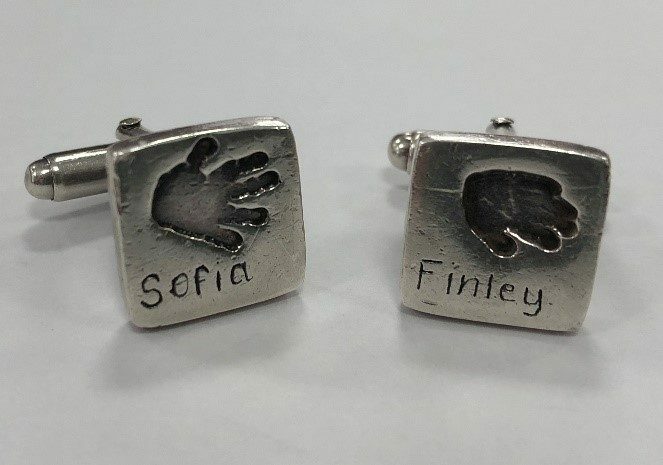 As I boarded the train this morning, on my way to a client meeting in Wimbledon, I glanced down at my cufflinks showing the hand prints of my two amazing children. A present from my wife for my 40th birthday (the cufflinks that is). The perfect gift for “the man you can’t buy for”. That was a few years ago now, but those cufflinks are with me every day I put on my shirt and go about my daily business. Those cufflinks are a constant reminder of my journey and my “why”. I take you back to the day my daughter was born, 8½ years ago now. Parenthood was always something I had dreamed of and we have been blessed to have two healthy children with my son coming along just 13 months later. At this point I had been working in the world of Financial Services for some 15 years helping those I worked with achieve great outcomes for their clients’. That realisation when you take your child out of hospital and home for the very first time and how you instantly understand just how much your little bundle of joy relies on you 100% and will do for many years to come; that immediate sense of responsibility is quite overwhelming. Up to this point the only people I had to think about were my wife and I. We both enjoyed good careers and the nice things that brings. Suddenly travelling up and down the country came with a very different thought as I got in the car every morning. Not to be too morbid about it, but what if I don’t make it home tonight or possibly even worse what if I have a terrible accident and am unable to work or carry out all of the things I do day to day. What impact would either of these have on my wife and my new family? How long will my employer pay me? What impact would it have on our savings? Just like the mechanic that neglects his own car, what would people say about the guy that had his dreams come to life when his children were born who worked in financial services and hadn’t protected the most important things in his life? Getting in the car every morning felt very different. That feeling of panic was turned to one of relative calm when I finally sat down with a colleague and hatched out a plan as to what I needed to do to take some of that anxiety away. I am sure you will have had similar analogies over the years but the one that always stuck with me was; “If you had a cash machine at home that paid out an amount of money each month to enable you and those closest to you to function and have the life that you are accustomed to, would you insure it?” After all we insure our phones, houses, pets and cars but what about the thing that pays for all of these. You are the cash machine in the corner of the house, what happens if the income machine turns off? Have you got enough capital to see you through? To continue to enjoy those valuable family times together and enjoy those new experiences? Travelling back on the train with a whole new set of passengers it intrigued me as to what each and everyone of them does and hoping that they don’t leave the house with the same anxiety that I once had. The profession I work in has for too long been interested in the products that they can advise their clients to have instead of talking to their clients and understanding what it is they worry about, are working towards and most importantly why they are doing what they do. In every role I have played throughout my working life I have always been very interested in the people and their story. The fact that I have a kit bag full of possible solutions to their conundrums has always been secondary. Bizarrely it is strange how the same simple conversation I have with families and business owners is the same just with a different set of circumstances. Business owners have worked hard to build their businesses and if anything were to happen to them or other key members they would want their hard work not to have been wasted and the business continue. Whilst there is an enormous amount of satisfaction helping our clients to provide an income in retirement, preserving family wealth through generations as tax efficiently as possible without lining the public purse too much. There is an equal amount of satisfaction knowing that the families of our clients and the businesses that they run will still continue should there be an unexpected event. We pride ourselves on the service we provide to our clients and don’t apologise for asking that extra question that enables us to understand just how we may be able to help.